This Post has already been read 377 times. 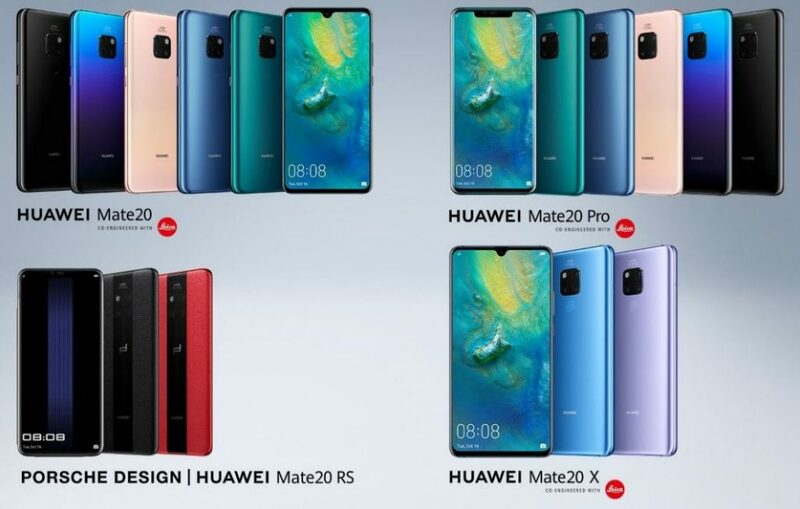 Huawei Consumer Business Group (BG) unveiled the HUAWEI Mate 20 Series, one of the most highly anticipated smartphone series of the year. Representing a momentous milestone in the history of the HUAWEI Mate Series, the HUAWEI Mate 20 Series embodies the pinnacle of innovation. Designed with the industry’s most powerful and sophisticated process technology, the latest Huawei flagship devices set a new bar by which all 2018 smartphones will be measured. The SoC at the core of smartphones has a determining factor in a device’s performance and efficiency. Manufactured with the cutting-edge 7nm technology process, the SoC fits 6.9 billion transistors within a die the size of a fingernail. Compared to Kirin 970, the latest chipset is equipped with CPU that is 75 percent more powerful, GPU that is 46 percent more powerful and NPU that is 226 percent more powerful. Furthermore, the efficiency of the components has also been elevated: the CPU is 58 percent more efficient, GPU is 178 percent more efficient, and the NPU is 182 percent more efficient. The Kirin 980 is the world’s first commercial SoC to use the Cortex-A76-based cores. Huawei has innovatively designed a three-tier architecture that consists of two ultra-large cores, two large cores and four small cores. This grants the CPU the flexibility to allocate the optimal amount of resources to heavy, medium and light tasks for unprecedented levels of efficiency, simultaneously improving the performance of the SoC while enhancing the battery life. The Kirin 980 is also the industry’s first SoC to be equipped with Dual-NPU, granting it higher On-Device AI processing capability to support any and all AI applications. The HUAWEI Mate 20 (4GB + 128GB configuration) have a MSRP of EUR799 and the HUAWEI Mate 20 (6GB + 128GB configuration) have a MSRP of EUR849 from that are available to purchase from 16th October, 2018. Feature available on HUAWEI Mate 20 and HUAWEI Mate 20 Pro at launch. Embodying exquisite design, powerful performance, extraordinary capturing capabilities and next-generation intelligence, the new HUAWEI Mate 20 Series is the partner of choice for professionals pursuing quality of life.